What is the most popular WordPress themes for developers? If you run a custom WordPress theme development business or have multiple websites, then I am sure you would love to save money on buying multiple WordPress packages for premium themes with a discount. If you are looking for the best WordPress developers theme, then I would say why to buy a single theme when you can save huge money on the entire theme package? I have shared around 16 such awesome WordPress theme packs, where you can save money by opting for their entire premium WordPress theme collections. And all of them are from the best WordPress theme developers. What is WordPress Theme Package? Which WordPress Theme Pack is Best For Bloggers & Developers? WordPress theme package is nothing but a collection of WordPress themes from a vendor. E.g. if you have used Genesis Framework from StudioPress Themes, you might have noticed that StudioPress offer a couple of child themes. If you are buying a WordPress theme, you can definitely buy them one by one. But if you want to get all the themes from StudioPress you have to buy the StudioPress WordPress Theme Kit or Pro Plus All-Theme Pack. Yes, these theme packages are also known as developer packs also. With these packages, one can easily find a good base to create more unique custom themes for their clients. StudioPress pro plus is the #1 best WordPress theme packages in 2019. Many top bloggers and marketers are using their themes as they are highly SEO optimized, fast loading and code optimized. E.g. check out this tweet shared by Yoast and Google’s Matt Cutts. Here are the things you will get with StudioPress Pro Plus All-Theme package. best premium WordPress theme, but Genesis has its own customer base. Most popular StudioPress themes are Foodie Pro, Business Pro, Mai Lifestyle Pro, Magazine Pro, AgentPress Pro, Authority Pro, Academy Pro, Infinity Pro, Author Pro, Refined Pro etc. Grab the $100 OFF StudioPress discount for 2019 to celebrate Genesis Framework 2.9. This offer will be valid till 20th March 2019. Grab this #1 best WordPress theme developers pack with max discount. So, click here save $100. If you are searching for the cheapest WordPress theme bundle, then they are the best. Elegant themes are one of the cheapest WordPress theme clubs which are around since 2008. They have a huge collection of themes (more than 87+ themes) which will perfectly suit different niche blogs. They have multiple themes for business, blog, eCommerce, portfolios, magazine, and personal. Divi Theme is downloaded 350,000+ times (best drag & drop WordPress theme builder). Also, get free Divi theme packs. More than 123,790+ follower in their FB page. Best package for different niche themes like business, blog, eCommerce, portfolios, magazine, and personal. Elegant Themes is offering a huge 20% OFF Divi discount on their theme package. Every year during their anniversary the do offer this sale. This is a limited period offer and will be valid until 28.03.2019 only. So, hurry up and click here to grab this Divi discount. There are many Genesis developers who create an awesome list of genesis child themes. If you are aware of Genesis Framework and trust them, then you must check out Zigzagpress theme collections. Although they become popular by creating some awesome themes, their support is not quite encouraging. I have listed them as the #3 best WordPress theme club. They have a collection of 30+ WordPress themes powered by the Genesis Framework. If you find StudioPress Pro Plus expensive, then why not try Zigzagpress @ $349 only. This is a one-time payment only. You will also get a 30-day money back guarantee. MyThemeShop is very popular and one of the best WordPress theme providers in 2019. You will find many multi-purpose WordPress themes with plenty of features. Without any doubt, they deserve the spot of #4 in this list of best WordPress themes pack for developers. Their themes are equipped with theme-options through which anyone can configure a website without using any additional plugin. You can buy their extended membership pack and enjoy awesome benefits mentioned below. They do offer a minimum $10 OFF MyThemeShop Coupon on their premium WordPress themes & WordPress plugins. For the MyThemeShop $19 Coupon, you have to keep a track of our website for more updates. Themify is one of my personal choices. Although they are not that much popular like others, their themes are highly SEO friendly, schema ready, fast loading and as per modern design only. You can start with their free themes on your website and understand how good is there themes. They are one of the old players and their theme package is a great way to save on WordPress multiple themes with a discount. Huge collection of themes to choose from. You can also start with their free themes. Utilize the Themify page builder to take your website design skills to the next level using Themify drag & drop builder. Access to all the current themes and future releases. Use themes on as many sites as you want. Few of the most selling themes are Ultra, Shopee, Music, Parallax etc. Themify Christmas Sale: Enjoy 30% off using coupon code: XMAS18, or $50 off Lifetime Club using discount code: XMASLIFE18! Grab This Offer Now. In case these offers expired, you can check out the latest Themify promotions & offers. CssIgniter is another popular premium WordPress theme developer. You will find more than 88+ themes in the CssIgniter theme bundle. Their themes will cover different niches and categories. You will get regular updates on their themes. Don’t miss their high-quality premium WordPress themes. If you buy CssIgniter theme pack, you will get access to all of their future themes. They launch a single theme almost every month and in the last couple of years, they are able to keep this consistency. recently they launch a cryptocurrency WordPress theme which became very popular. Their theme pack will cost you only $69 for all the WordPress themes. But if you want to access their entire product collection then better to buy the Lifetime package. CssIgniter Christmas Sale is live now. Use the coupon code XMASIGNITED and get 40% OFF any purchase – Buy Now. In case this offer is expired, do check out the latest discount on CSSIgniter themes. HappyThemes is one of my favorites as I have purchased their WordPress theme package. It was really very cheap when they started their journey as a WordPress theme developer. I think it was simply around $12 for their entire theme package which I purchased during Black Friday sale last year. But their theme package price has increased up to $99. Of course, they have increased their number of themes also. Now you will get around 23+ themes and their collection is simply awesome. It looks like HappyThemes has developed themes inspiring from many top websites. E.g. I was looking for a custom theme like WPBEGINNER and I found a similar theme from HappyThemes. Right now they are offering a flat 50% discount on their ThemeBundlee. Click Here To Grab Now. Theme-Junkie is a very old player in this WordPress field. You may find their majority of themes are old styled. But they also come up with a few new themes. But still, it is worth buying so many themes by paying only $49. Yes, it’s hardly the price of a single theme in many cases. A huge customer base of more than 35,000 happy customers. They are operating in this industry since 2009. E.g. Genesis Framework will cost you $59 and GeneratePress will cost you $39. But you can get the entire Theme-Junkie collection at such a cheap price of $49 only. Themeisle is another big WordPress theme developer who has a customer base of more than 450K. This is simply an amazing number as even the most popular theme pack StudioPress doesn’t have that much. Majority of their themes are free and highly SEO optimized fast loading. So, if you are looking for a free WordPress theme, then you must try Themeisle free themes. Because, in case you want to update to a premium theme later, you can upgrade to their paid themes easily. Themeisle theme pack will cost you $235 including 9 more plugins and everything. But remember that you can use them only for max 5 websites. In case you want to buy only themes, then simply pay $105 for 2 websites. Tesla Theme entered into this WordPress theme business recently. With such a short period of time, they are able to make a good place in this crowd of WordPress theme package for developers. You will find more than 67+ professional WordPress themes which will cover almost every type of websites. Lifetime rights to use all themes. Get support and theme updates forever. The best part of Tesla Theme is that there is no restriction of websites where you can install their themes. Besides that, you will also get access to their beautiful Flat Design UI Kit. The price of Tesla Theme package is $99/year. But if you want to get access to their lifetime club then you have to pay a one-time fee of $299, which is not a bad deal. If you love to design a website for clients in photography, artist, portfolio niche then I am sure you will find the collection of Graphic paper Press awesome. You will also find themes for websites like businesses, blogs, eCommerce, magazines, videos, and other website types. Most of their themes are SEO friendly WordPress themes, HTML5 ready, responsive. You just have to pay $399 (one-time charge) to get the access to their lifetime package. You will also get a 30-day money back guarantee. Themefuse is another WP theme developer who provides multiple themes at discount price. They offer a couple of packages. In fact, you can have their developer package by paying $99/year when a single theme will cost you $49 only (one-time). This is another example fo cheap WordPress theme bundle. 50+ Stunning themes to choose from in multiple categories. All themes free if you sign up with a hosting partner. Access to all the themes and future additions to the collection. If you buy hosting from ThemeFuse Partner hosting company, then they will give you the complete theme package for free of cost. But that would be valid for a single website only. ModernThemes is a premium WordPress theme builder who also provides many free themes to download. They have a huge customer base of more than 1 lakh customers and more than 1.5 lakh theme download. They offer 3 options to buy their themes. You can pay $39 for their single theme, but the best part is their lifetime access cost of just $99 only. Free support is included with all options and can be accessed from within your account. 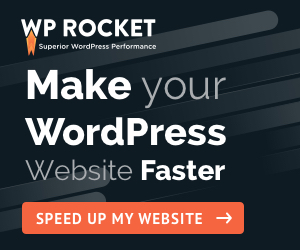 Looking for WP premium themes with easy customization options? Then check out the collection from CyberChimps. You will find more than 50+ themes which will suit any kind of website you have. 60+ premium WordPress themes. New themes added every month. They launched a new theme Agency Elite, which is a one page WordPress theme with customizable sections – more than 7 sections. The home section with a slider and much more. InkThemes has a huge collection of 3500+ themes, which is the maximum for a single theme player. With that, they also have a list of 19 premium plugins. There are no restrictions on websites. You can upload their themes on unlimited websites, that’s the best part of their themes. You will find a huge collection of categories like Bootstrap, WordPress App Themes, Hotel & Restaurant, Health & Medical, Society & People, Agency & Affiliate, Maintenance & Repairing, Art & Culture, Building & Construction, Beauty & Fashion, Education & Training, Animal & Veterinary, Automobile & Transportation, Technology & Security, Sports & Fitness, Event & Entertainment, Photography & Portfolio, SEO & E-Commerce, Local Business, News & Magazine, Travel & Tourism & many more. Christmas Sale is live now: Use Coupon – XMAS40 & Get 40% OFF On InkThemes Bundle. Click Here To Grab This Deal. WPZoom is another theme builder who provides high quality & functional WordPress themes. They offer 40+ beautiful themes which you can own by paying just $99/year. Access all of their WordPress themes and get new themes free as they’re released. All with regular updates, unlimited usage, and excellent support by paying only $149 (one-time payment). 42 Beautiful & Responsive WordPress Themes! I don’t think there are any further doubts if you go through all these theme packages one by one. StudioPress is the most trusted and widely used theme provider. I have shared a detailed review of StudioPress themes where I have listed out their best themes. If you ask me to be specific on this topic, I would love to recommend these top 11 as the best WordPress theme bundle. Because they are from the top WordPress developers who have proved their worth already by showcasing some awesome design and support. I hope you liked this article about the best WordPress Theme Packages for developers in 2019. Do share your experience by writing a simple comment while developing a custom theme for your client. Do you build from scratch or taking help from such awesome developer theme packs?